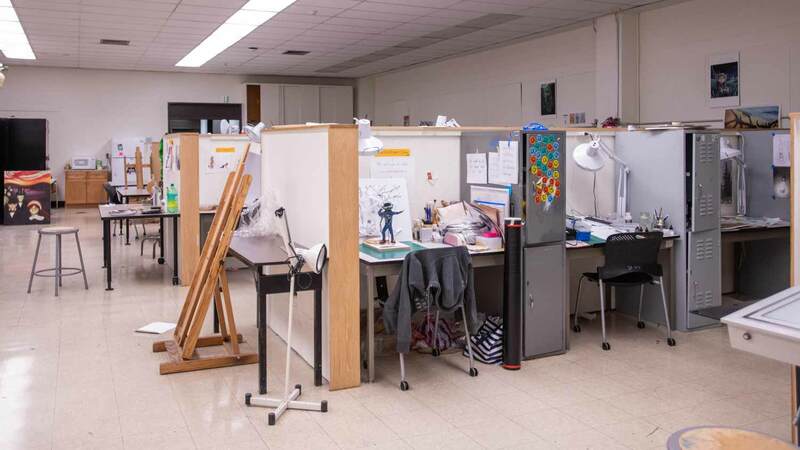 The illustration major prepares students for a variety of careers within the visual communications field. The major provides an educational environment that supports the creative development of students and helps them to achieve their individual goals. Course work emphasizes traditional drawing and painting skills, the application of the latest digital media, and the use of dimensional media. Students learn conceptual skills, professional practices, and narrative story telling techniques while developing an individual style. These techniques and styles are then applied to produce illustrations suitable for advertising, publishing, editorial, and the service and gaming/entertainment industries. Students may select electives that enhance their studies or allow them to pursue an area of personal or professional interest. Electives are available in graphic design, illustration, graphic visualization, industrial design, interior design, fine arts studio, environmental design, ceramics, glass, metals, textiles, woodworking, film making, photography, and imaging technology. To be eligible for these electives, students must complete the foundation program or have the permission of the instructor. Additional selections are offered as special topics courses. 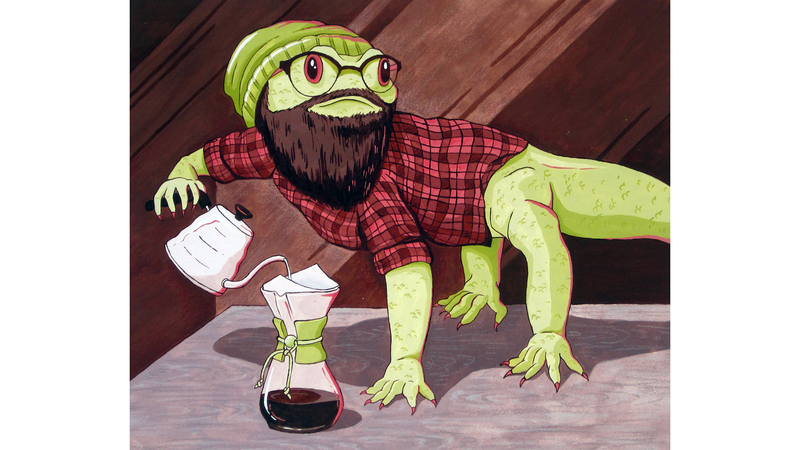 Rachel DiNunzio ’11 is a fine artist, children's book author-illustrator, educator and podcaster based in Buffalo, N.Y. 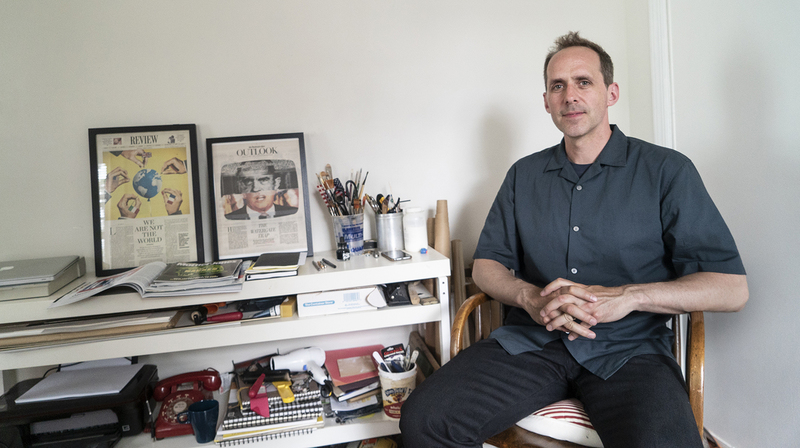 Renowned freelance illustration Doug Chayka '96 has a client list that includes The Atlantic, Boston Globe, New York Times, New Yorker, Washington Post and many other publications. 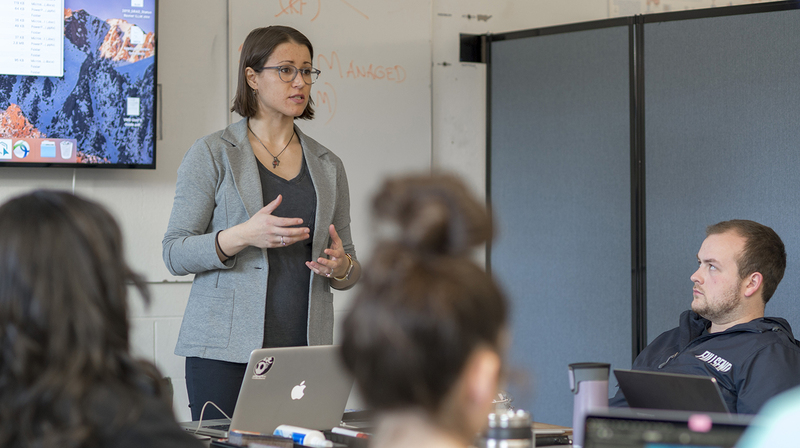 The Co-Up program, made possible by contributions from members of the RIT Board of Trustees, is a unique opportunity for students to realize their passion projects. Meet Aida Hajdarpasic, a fourth-year illustration student who plays in the RIT Philharmonic Orchestra and the RIT Game Symphony Orchestra. Illustration I is the primary core course for illustration majors in their sophomore year. The students approach major elements of technique, application, and theory in relation to becoming illustrators. Studio sessions involve basic problem solving, anatomy, pictorial composition, media applications, figurative expression, use of reference tools, and illustrative techniques. Class structure allows demonstrations of processes and experimentation for assignment development. Group and individual critiques will be used to evaluate work. This course will introduce students to an alternative style of illustration that will expand their thinking into the third dimension. Emphasis will be placed on planning and preparation of compositional elements in three-dimensional sculptural form and creative problem solving. Students will be encouraged to explore a variety of materials and techniques to complete projects. Digital Illustration I will provide students with methods of conceptualizing, organizing and executing illustrations using the computer. Projects will expose students to various types of digital techniques using vector and raster-based software applications, and a variety of input and output devices for the creation of professional level assignments. The course will emphasize conceptual problem solving methodology and the language of visualization while providing a consistent foundation for digital illustration as it relates to professional illustration production. Color systems, digital terminology and pre-press file formats will be also be covered. This course focuses on preparing students to create work for a variety of illustration markets including the advertising, editorial, corporate and book publishing markets. Emphasis will be placed on the development and creation of a variety of finished illustrations that will demonstrate understanding of current industry trends and standards. Students will gain insight into the differences and nuances of these illustration specializations. Creative problem solving, stylistic self-expression, and technical proficiency will be emphasized. Students will participate in individual and group reviews and critiques. This course focuses on preparing students to function as professional working illustrators. Students will prepare and supply professional business materials such as job cost estimates, work and job delivery schedules, etc. along with assignment work. Emphasis will be placed on the development and creation of a variety of finished illustrations that will demonstrate understanding of current industry standards. Students will gain insight into pricing, time management, and effective communication relative to the illustration profession. Creative problem solving, stylistic self-expression, and technical proficiency will also be emphasized. Students will participate in individual and group reviews and critiques. Illustration Portfolio is the final preparatory course for the Illustration major. Its purpose is to provide students with information, strategies and guided instruction to market themselves and organize and create their final portfolio. Writing will be a substantial component of this course. The course will include marketing and business practices for the professional illustrator. Students will receive individual critique and analysis of work created in prior studio classes and progress to the definition of a career agenda. Projects will be customized for each students body of work and their career intentions. Presentation methods and business protocol will also be addressed. The final culminating project will be a finished portfolio. In addition to the portfolio document, students will be instructed in job seeking strategies including creating mailers and promotional materials, interviewing dynamics, resume writing, and correspondence. ‡ Studio elective courses are those designated with studio/lab contact hours listed in the course description. Digital Illustration II will provide students with advanced methods of conceptualizing, organizing and executing illustrations using the computer. Projects will expose students to various types of digital techniques using vector and raster-based software applications, and a variety of input and output devices for the creation of professional level assignments. The course will emphasize conceptual problem solving methodology and the language of visualization while providing a consistent foundation for digital illustration as it relates to professional illustration production. Color systems, digital terminology and pre-press file formats will be also be covered. This course will offer students the option to continue an exploration of three-dimensional illustration. Emphasis is placed on creative problem solving, drawing skills, planning, preparation, compositional elements of three-dimensional low relief and sculptural form. Students are encouraged to explore a singular medium to complete projects in series presented in a consistent style. Editorial Illustration takes an in-depth look at creating images for the newspaper and magazine publishing industry. Emphasis will be placed on creating a wide variety of finished illustrations. The course focuses on the visual interpretation of editorial subject matter. Critical thinking, visual criticism, and rhetoric will also be a required component of work generation and conceptualizing. Presenting thumbnails that explore a variety of concepts is emphasized. This course may be retaken one time. This course provides students with the opportunity to explore the creative potential presented through the imaginative combination of both traditional and digital media. Students will be expected to utilize and combine skills learned in traditional and digital illustration courses to provide exciting and fresh illustrations unrestricted by a singular medium. Illustration History will provide students with a historical overview and discussion of the field of illustration. Students will be presented with illustration in a developmental context. Visual examples, illustrators biographies, descriptive information, and terminology will define and distinguish illustration and provide topics for discussion. The course will cover revolutionary illustrators, evolutionary trends, and styles from 1880 to the present. Special emphasis will be placed on particular illustrators whose artistic contributions to the field have defined and influenced changes and new movements. Work in traditional mediums and more recent digital mediums will be covered. This course focuses on preparing students to create work for the book publishing industry. Emphasis will be placed on creating a wide variety of finished illustrations that will appeal to picture book markets as well as a range of other publishing categories. To create a basis for their illustrations, students will visualize existing narratives and/or author their own story concepts. This will involve story development and storyboard conceptualization. Creative expression and technical experimentation will be encouraged. The course will culminate with the student creating a completed dummy suitable for presentation to book publishers. This course requires students to create several illustrations on a topic, genre, or market relating to personal interests, experiences, directions, portfolio requirement, and career goals. Emphasis will be placed on the display of the student's individual aesthetic choices including realism or stylization, personal color palette, characterization, compositional sense, and other considerations. Works may be thematic or individualistic in content. Although this is not an independent study course, students will be expected to create a plan of work for the course in consultation with the instructor. Animating Digital Illustration will provide an introduction to illustrating for multimedia projects by creating computer generated animations and presentations. Adobe Flash in combination with other imaging and motion software will be used. 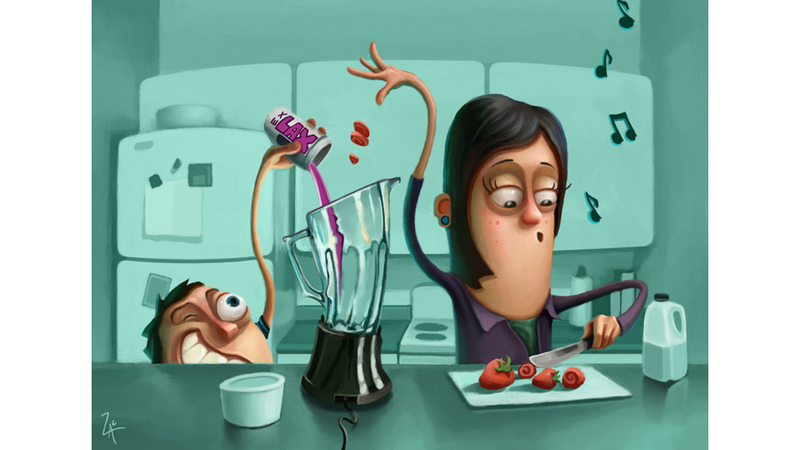 Assignments will investigate not only illustrated animation, but also sound, music, color and special effects. The course will emphasize conceptual problem solving methodology, color systems, digital terminology and motion file formats. Fantastic Illustration takes an in-depth look at creating images for the fantasy and science-fiction publishing industry. Emphasis will be placed on creating a wide variety of finished illustrations. The course focuses on the visual interpretation of subject matter specific to these specialized genres of illustration. Critical thinking, visual criticism, and rhetoric will also be a required component of work generation and imaginative conceptualizing. 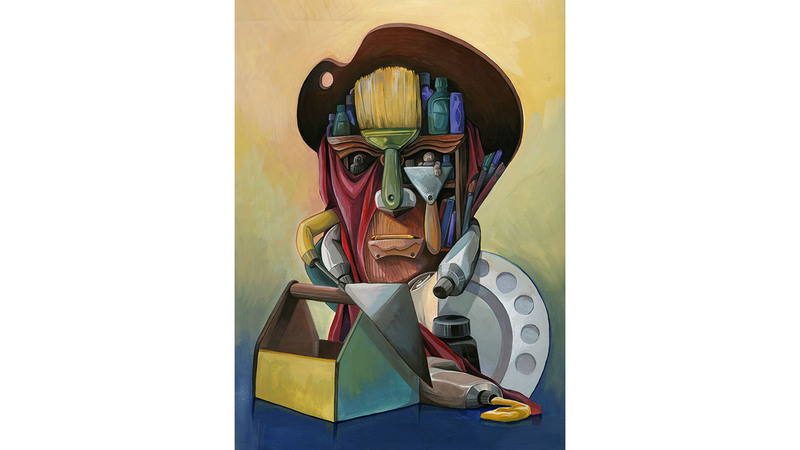 Stylistic options and technical approaches to the subject matter will be emphasized. This course will facilitate the use of sketchbooks as a creative, developmental tool for illustrators and artists. Students will complete assignments by draw on location and in class to explore subjects and environments to create a visual reference material in the form of a sketchbook journal. Material documented in the sketchbook will then provide visual reference for more complete illustrations. This course will provide and in depth look and practice at creating humorous, symbolic or acerbic images of people for this specialized area within the field of Illustration. Assignments will challenge students to create characters for a variety of purposes and media. Emphasis will be placed on interpreting facial expressions, body postures, and clothing. 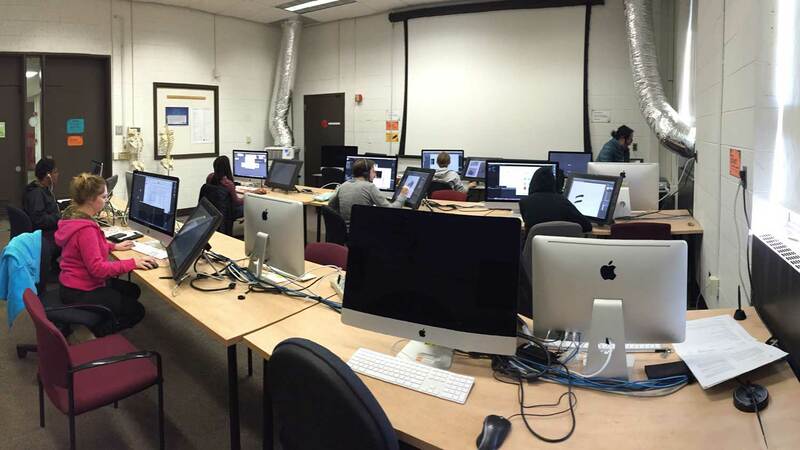 Students will work in black and white and in color media producing a wide variety of finished illustrations. Students will be instructed in production methodologies, character diagramming, and color systems. Political Cartooning is an introduction to this very popular, humorous approach of illustration that is widely used by newspaper and magazine publishers. Students will apply humorous, satirical, ironic, etc. content to their illustrations. Research, brainstorming, and exploration of techniques and media are emphasized. The history of visual joke telling is reviewed. The illustration internship will provide students with the option to work in the illustration or visual communication field. Students may apply for internships to businesses based on the availability of positions and business job needs. Students must obtain permission of an instructor and complete the Internship Permission Form to enroll. Focused investigation of, and practice in, a selected topic in illustration. Subject offerings will vary by sub-field specializations in the illustration field. A subtopic course description will be published each term course is offered and may have limited repeatability. The course, however can be repeated. This course utilizes subjects found in the natural world as resources for applied and fine art applications. Working from live and preserved subjects, students will accurately depict animal and plant images, which may be used descriptively in print and electronic media. This course will deal with creating illustrations used to advertise products, services and events. Assigned projects will give students a better understanding of the wide range of assignments advertising illustrators are asked to produce by advertising agencies and corporate accounts. Students will experience the fast paced working conditions inherent in the advertising industry. Digital Editorial will introduce students to editorial illustration. Importance will be placed on interpretation of editorial subject matter and preparation of digital imagery for print reproduction. Students will apply approaches to creative illustration while creatively interpreting editorial text and visual narratives. Students may use vector and raster-based software applications and a variety of input and output devices. Stylistic issues, conceptual strategies, production restrictions, and color systems will also be covered. Illustration Independent Study will provide students with the ability to study in a specialized area with an individual faculty member. Students, with the assistance of a faculty adviser will propose a course of study. Illustration Independent Study students must obtain permission of an instructor and complete the Independent Study Permission Form to enroll. Studio art experience and a portfolio of original artwork are required for all programs in the schools of Art and Design. A portfolio must be submitted. View Portfolio Requirements for more information.